Western District Catholic Communities Incorporating the Catholic Communities of Apsley, Balmoral, Coleraine, Casterton, Dunkeld, Edenhope, Glenthompson, Goroke, Hamilton, Harrow, Macarthur, Penshurst and Tarrayoukyan. We are committed to a safe and nurturing culture for all children and young people in our parish. The Western District Catholic Communities hold the care, safety and well being of children and young people as central and fundamental responsibilities of the Church. This commitment is drawn from and inherent in the teaching and mission of Jesus Christ, with love, justice and the sanctity of each human person at the heart of the Gospel. We want our children to be safe, happy and empowered. The Western District Catholic Communities have a universal expectation for the protection of children. We are resolutely committed to ensuring that all those engaged in the Church promote the inherent dignity of children and young people and their fundamental right to be respected and nurtured in a safe environment. This is particularly so for the most vulnerable children, including aboriginal children, those from culturally and/or linguistically diverse backgrounds and children with a disability. The Catholic Church has a moral, legal and mission-driven responsibility to create nurturing environments where children and young people are respected, their voices are heard and where they are safe and feel safe. We have zero tolerance of child abuse and all allegations and safety concerns will be treated seriously and reported in line with our legal obligations, our moral obligations and our parish policies. 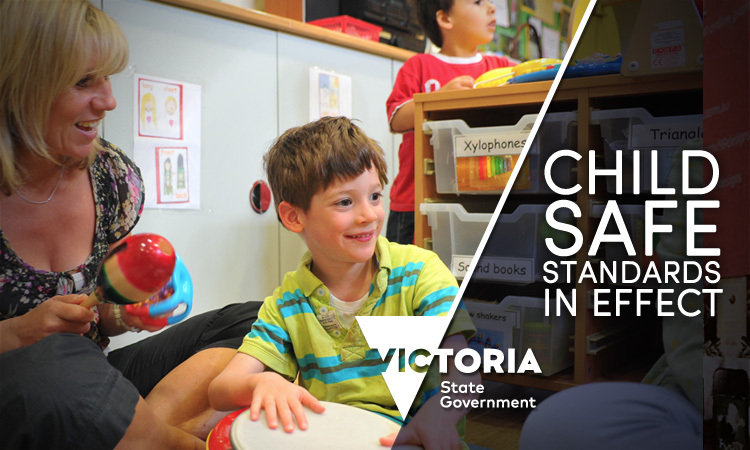 Creating child-safe environments is a dynamic process that involves active participation and responsibility by parishes, schools, families and communities. It is marked by collaboration, vigilance and proactive approaches across policies, procedures and practices. We are committed to preventing child abuse and identifying risks early and then reducing or removing them. If you see something of concern, please let us know. Every person involved in the Catholic Church has a responsibility to understand the important and specific role he/she plays individually and collectively to ensure that the well being and safety of all children and young people is at the forefront of all they do and every decision they make.